Pianist, composer, and Inner Circle Music recording artist Lefteris Kordis has established himself as one of a few masters of his generation in the Mediterranean Jazz idiom. He grew up in Athens, Greece. Since age four, and with the support and encouragement from his parents George and Peggy, he has studied, performed, and composed music based on a spectrum of genres including Jazz, Western Classical, Modernist/Avant-Garde, Greek Folk, Byzantine chant (his grandfather was a cantor, whose brother directed a school of cantors), and Argentinean Tangos. 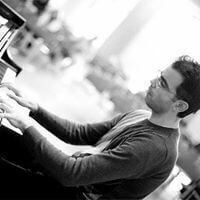 Lefteris serves as an Associate Professor at Berklee College of Music coaching ensembles at the prestigious Berklee Global Jazz Institute and teaching core Ear Trainining classes. He also teaches improvisation, composition, and theory privately at his home studio in Brookline, using a unique multi-disciplinary approach. Lefteris has appeared in major venues such as the Panama Jazz Festival, Toronto Jazz Festival, Tsai Performance Center in Boston, Athens Concert Hall, Jordan Hall in Boston, the Overture Center for the Arts in Madison, WI, the Cornelia Street Café in NYC, the Shapeshifter Lab in NYC, the UMO Jazz Club in Helsinki, Finland, the Touchill Performing Arts Center at the University of Missouri-St. Louis, the Vlahcevic Concert Hall at the Virginia Comm University, the Tinos Jazz Festival, the Museum of Fine Arts in Boston, the Megaron Gkyzi Festival in Santorini, the Zante Jazz Fest, the Fraser Performance Studio at the WGBH radio station, and he has appeared regularly with his jazz piano trio at the Beehive in Boston, Lily Pad and Beat Brasserie in Cambridge (All at Top 100 World Jazz Clubs list according to DownBeat). Extremely instrumental to his spiritual and artistic growth were teachers/mentors Danilo Perez, Steve Lacy, Allan Chase, Frank Carlberg, Bob Brookmeyer, Ran Blake, Jerry Leake, Dimos Dimitriadis, and Charlie Banacos, When Banacos passed away in 2009, Lefteris decided to devote his doctoral dissertation to document Banacos’s pedagogy of jazz improvisation. Currently, he is researching and writing a book on Danilo Pérez’s teaching approach and philosophy. 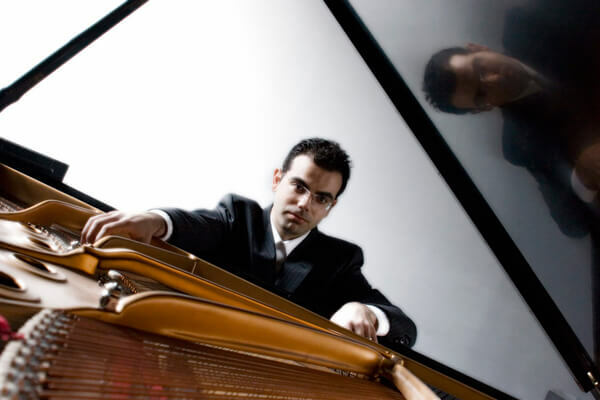 Lefteris performs regularly as an organist at the Rush Memorial AME Zion Church in Cambridge, MA; at the Beehive and Beat Brasserie with his jazz trio featuring John Lockwood and Karen Kocharyan, and at Brothers Kouzina playing Greek dance music. He and his wife vocalist Panayota Haloulakou lead the Greek Band Penny Muse Band and they organize the “Café Aman Fest,” a Mediterranean Folk Music Festival that occurs bimonthly at Athan’s Bakery in Brighton, MA. Participant musicians are from Greece, Turkey, Italy, Syria, Israel, Egypt, Armenia, US, and others. The main scope of the Festival is to expose East Mediterranean music and create a community of musicians and audiences. Lefteris has taught and/or presented lectures and masterclasses at University of Missouri - St. Louis, UMASS Amherst, IASJ, UMASS Boston, University of Rhode Island, Ionian University in Greece, Panama Jazz Festival, and Walnut Hill Music School. He has organized and/or performed in benefit concerts and fundraising events, and he has provided music for people with mental disabilities and the elderly in asylums and senior homes respectively both in the US and Greece. He is the co-director -along with Dimos Dimitriadis, head of the jazz program at the Ionian University- of the "Aqua Jazz,” a program that builds bridges between folk musicians and jazz improvisers in Greece and the East Mediterranean region. 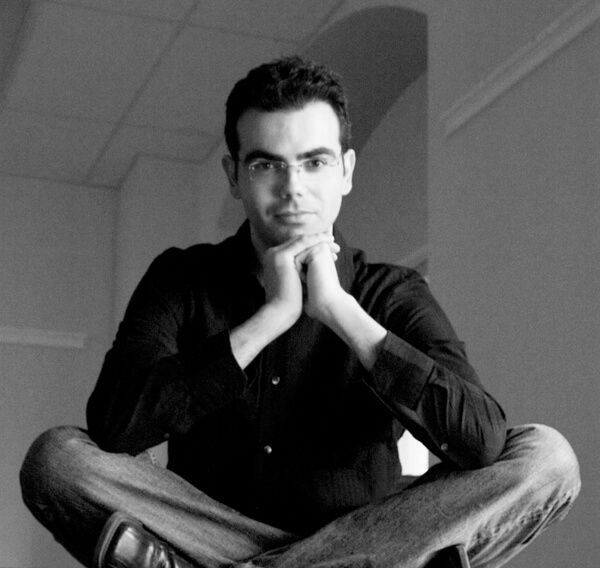 Lefteris has recorded six CD albums as a leader and has performed in major venues in Europe and America.